By searching manually from the search tool. Browsing through the different application categories available. Receiving recommendations from the editor’s pick. Checking the different lists of applications that are trendy due to different reasons. After finding the application of your choice, simply click on the Get button to download it to your device. Furthermore, we’ll soon notice that the design of the interface is very similar to that of the official Apple store, being very familiar and extremely easy to use. 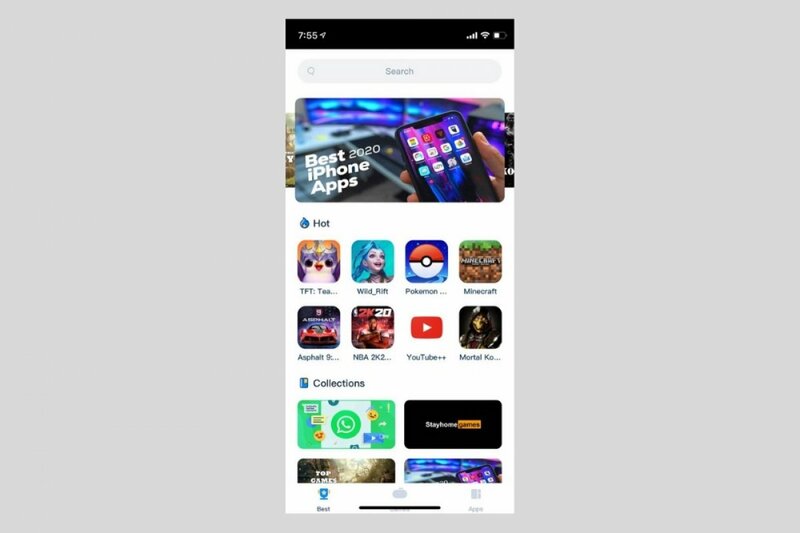 This Chinese platform for the distribution of applications has caught our eye mainly due to two reasons: on the one hand, because we don’t need to jailbreak our device to be able to use it. That means that to install it we only have to download a file and grant the permissions necessary from our device’s settings. But the most noteworthy feature is the possibility to download paid applications and game mods for free without paying a cent. This function is obviously quite controversial because some people may consider it as piracy. The success of this store not only lies in the fact that it’s available for iOS but also because it can be used on Android. Furthermore, there’s also a version for PC that works like an app manager just like the Windows version of iTunes.